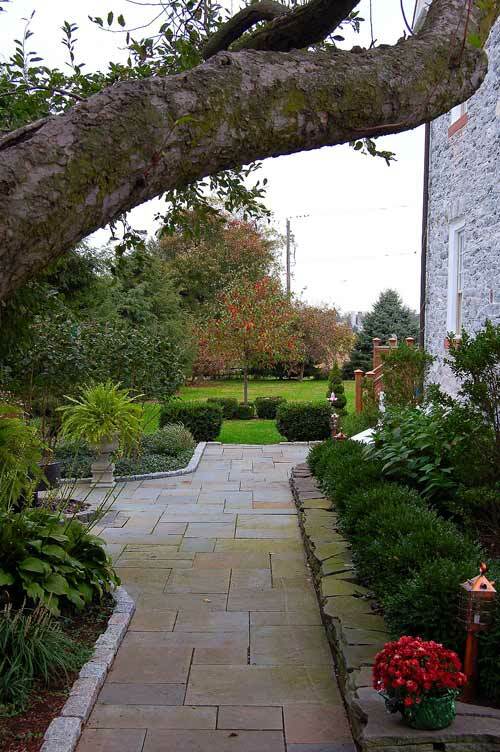 A landscape and garden design for a traditional stone home. 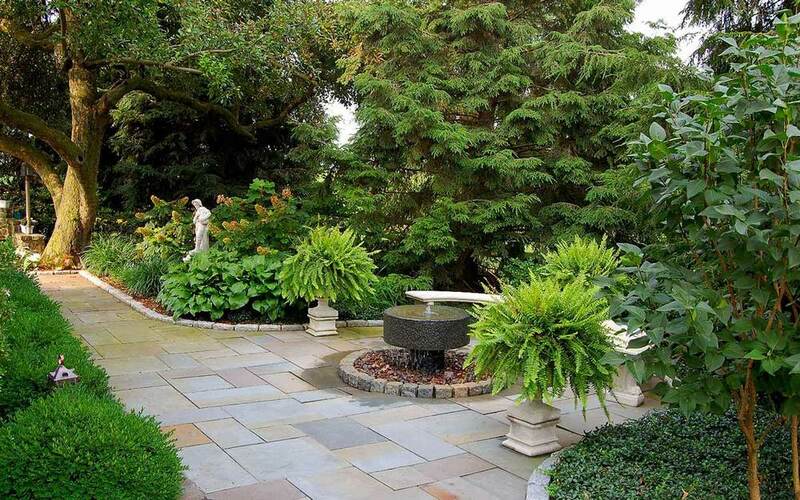 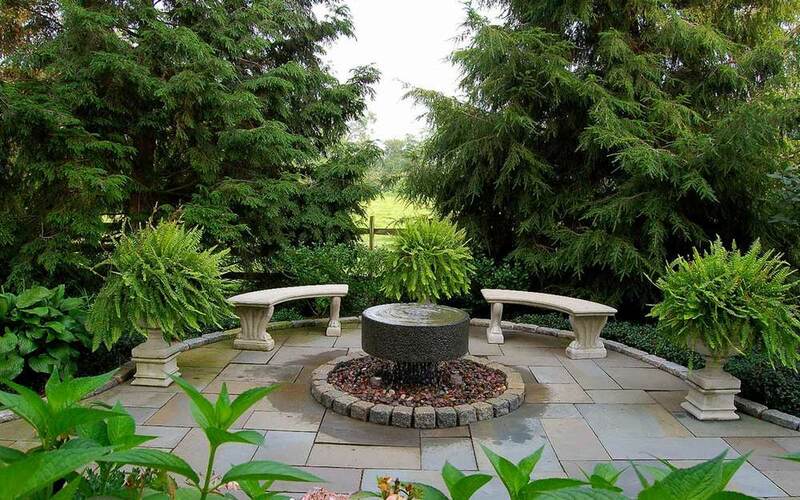 Project highlights include a custom millstone fountain, sculpture, recessed seating area with teak outdoor furniture, flagstone patio, stone walls, cedar deck. 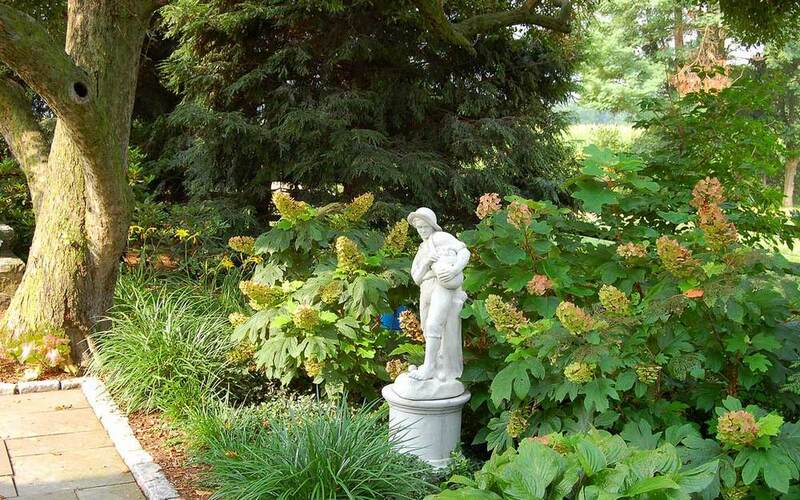 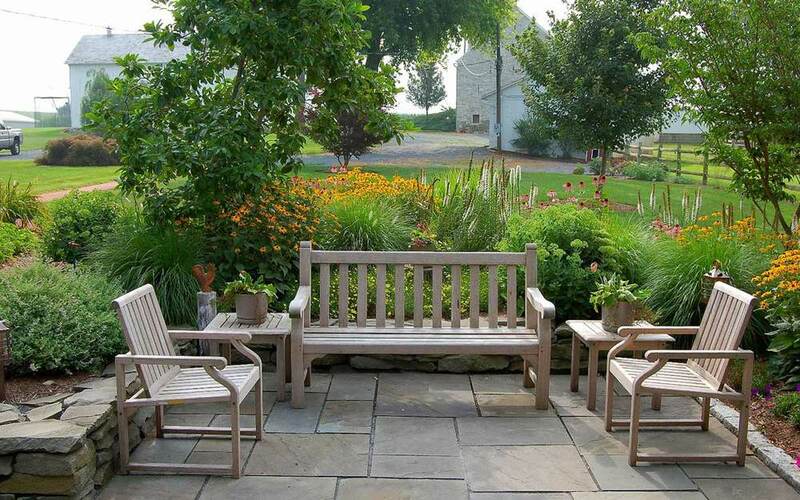 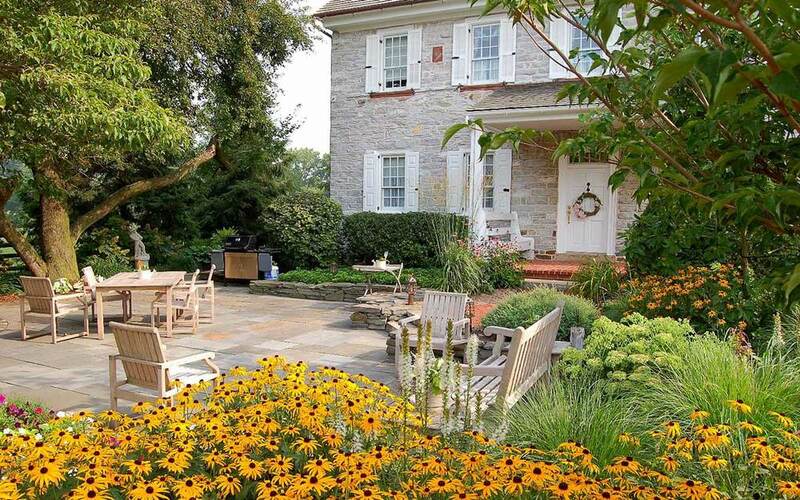 Plants for the home include black eyed susans, fern, hosta and boxwood.